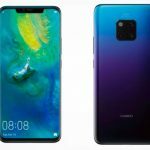 Home » Xiaomi » Xiaomi Mi Mix 3 Advantages, Disadvantages, Review – Sliding Smartphone !!! Xiaomi Mi Mix 3 Advantages, Disadvantages, Review – Sliding Smartphone !!! 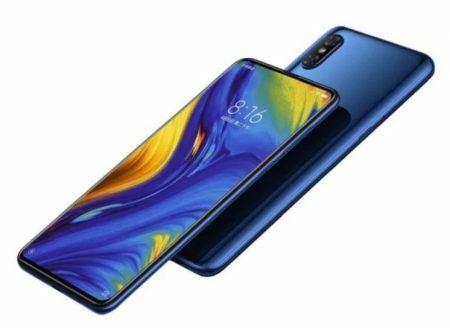 Xiaomi Mi Mix 3 high-end smartphone launched into the market. So, check out Xiaomi Mi Mix 3 advantages (Pros), disadvantages (Cons), problems and drawbacks/defects before purchasing. Currently, this is not yet released to the Indian market for you to buy. Xiaomi Mi Mix 3 comes with latest Android OS, v9.0(Pie). It offers 6.39-inch Super AMOLED capacitive touchscreen with a good screen-to-body ratio of 85% and Multitouch in it. Its display has superb pixel density for its full HD resolution(~403 PPI) with 19.5:9 aspect ratio. Supports HDR and MIUI 10. It is built with front glass and back that is made up of ceramic black and surrounded by the aluminum frame(7000 series). The device weighs bit heavy to carry with 218g and 8.5 mm in thickness. It supports only Dual SIM (Nano-SIM). It provides 6/8/10 GB of RAM for uninterrupted multitasking. Xiaomi Mi Mix 3 has equipped with powerful Qualcomm SDM845 Snapdragon 845 (10 nm) Chipset and the performance is very smooth with no lags. It offers Dual 12 MP (wide)(f/1.8, 1/2.55″, 1.4µm, Dual Pixel PDAF, 4-axis OIS) + 12 MP(telephoto) (1/3.4″, 1.0µm) rear camera with additional features like LED flash, HDR, panorama. It offers Dual (Mechanical pop-up 24 MP, 1/2.8″, 0.9µm) + (Mechanical pop-up 2 MP, depth sensor) front-facing camera with additional features like HDR. Supports quad HD video recording at 2160p@30/60fps, 1080p@30/60fps, 1080p@960fps. It has the battery capacity of 3200 mAh(Non-removable) which is good for heavy usage. Supports Fast battery charging(Quick Charge 4.0+) and Wireless charging. It is available in Jade Green, Sapphire Blue, Onyx Black, Forbidden City Blue (10 GB only) colors to choose. Xiaomi Mi Max 3 supports additional features like Active noise cancellation with dedicated mic. Xiaomi Mi Mix 3 comes with superb features, performance and looks stunning. So, we suggest grabbing this smartphone if you are looking for a flagship smartphone. Huawei Mate 20 Pro Advantages, Disadvantages, Review - Superb Smartphone !! 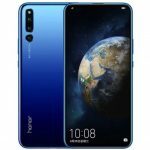 Huawei Honor Magic 2 Advantages, Disadvantages, Review - Beautiful Smartphone !!! Xiaomi Poco F1 Advantages, Disadvantages, Review – Very Aggressive Pricing !! Xiaomi Mi Max 3 Advantages, Disadvantages, Review – Mini Tablet !! Xiaomi Mi 8 SE Advantages, Disadvantages, Review – Superb Features !! Xiaomi Mi 8 Advantages, Disadvantages, Review – Stunning Smartphone !! Xiaomi Redmi 6 Pro Advantages, Disadvantages, Review – Great Value ! !